We went to Kepos Street Kitchen on a rainy day and even with the bad weather, we had to wait for about half an hour for a table at 11am. Their menu was extensive and it took me awhile to decide what to order. But the tuna salad caught my eye and boy was it good. 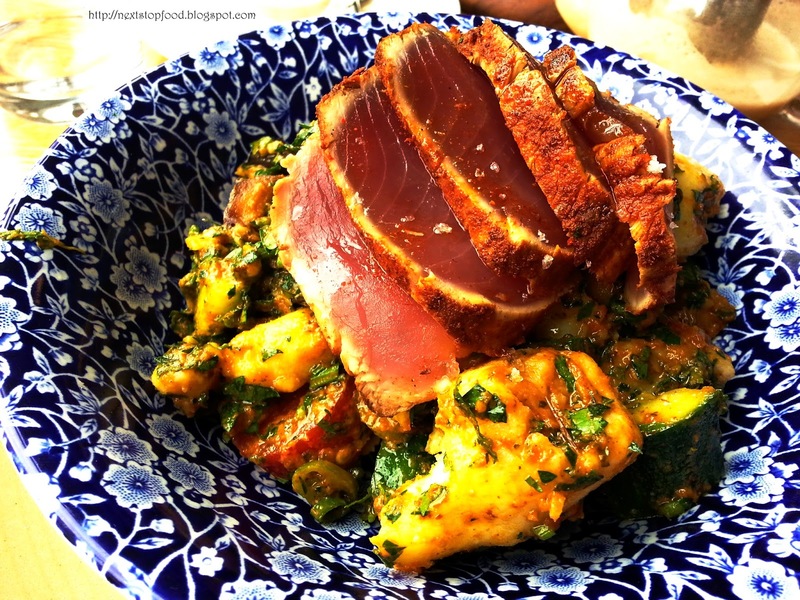 The tuna was lightly seared and it just melts in my mouth, along with their appetizing dressing, I fell in love with it! At first I thought this salad won't be enough to fill me up, but the potato did the job. As we were waiting for our food, we couldn’t help but notice the happy faces of the tables around us who ordered churros. So despite being full, we HAD to try it :P That churros was crunchy outside and so fluffy inside. The salted caramel was perfectly balanced. I was in heaven after brunch and it was definitely worth the wait. The staff were very friendly and needless to say, the quality of food was top notch. 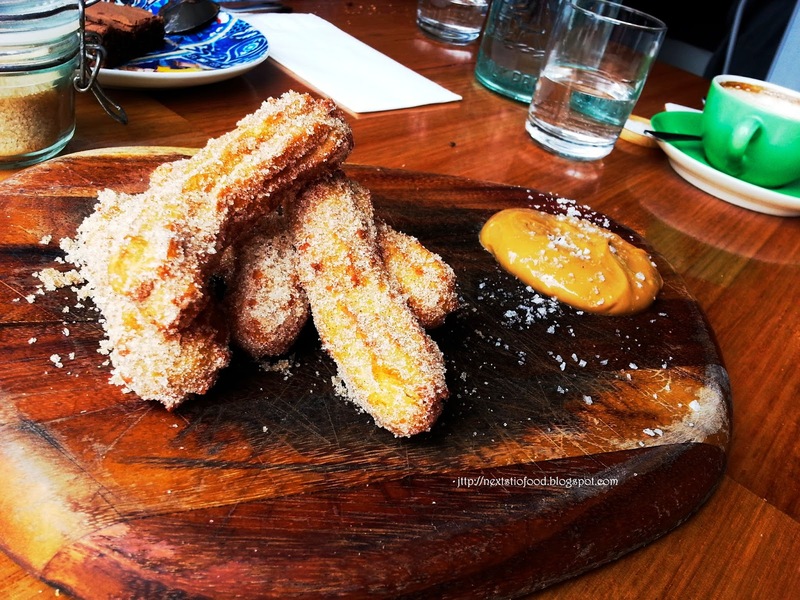 I can't wait till the next time I have brunch here, churros wait for meee! Again, another cafe that has a long brunch queue, we waited for around half an hour to have a table at noon. 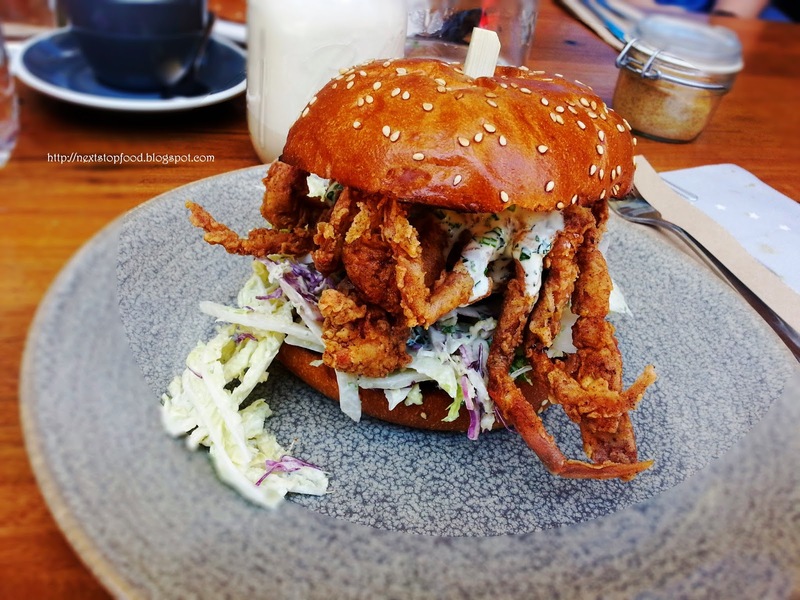 But.. how can I not try PCP when I have a thing towards soft shell crab and there are so many mouth watering pictures of the famous Po Boy on social media. One bite into it, I'm kicking myself for not coming here sooner! That crispy soft shell crab and delicious milk bun was amazingly good. Also, there's more than enough soft shell crab in that burger hehe. The tasty slaw makes this burger slightly healthier. KSK definitely nailed the flavours ! Crab po boy, here I come!